A beautifully presented 4 bedroom attached house in an elevated position close to Rye. Refurbished and extended to a high standard offering a stunning open plan sitting/dining/study/kitchen along with a second reception room, 2 bath and shower rooms. Large rear garden with swimming pool adjoining countryside. ORP. GFCH. A beautifully presented 4 bedroom attached house located in an elevated position only a few minutes from the picturesque historic town of Rye. Refurbished and extended to a high standard offering a stunning open plan sitting/dining/study/kitchen along with a second reception room. 4 double bedrooms, 2 bath and shower rooms. Large rear garden with swimming pool adjoining open countryside. Good parking. Accommodation list: Entrance hall, reception two/snug/playroom, cloakroom, open plan sitting/dining/study opening to kitchen with walk-in larder, utility room. First-floor landing, four double bedrooms, two bath and shower rooms. Driveway providing parking, front garden, large rear garden with paved terrace, summerhouse, enclosed terrace with swimming pool, timber garden sheds, adjoining countryside to the side and rear. GFCH. Entrance hall: Stairs with painted balustrade and wooden handrail to the first floor, under stairs storage cupboard, matching doors to all rooms, oak floor, picture rail. Cloakroom: Fitted with white suite comprising back to wall WC and pedestal mounted wash hand basin. Part painted panelled walls, extractor, matching oak floor. Traditional towel rail/radiator. Airing cupboard with slatted shelves. Reception two/snug/playroom: 3.49m x 3.34m Double glazed sash window to the front. Oak floor, picture rail. 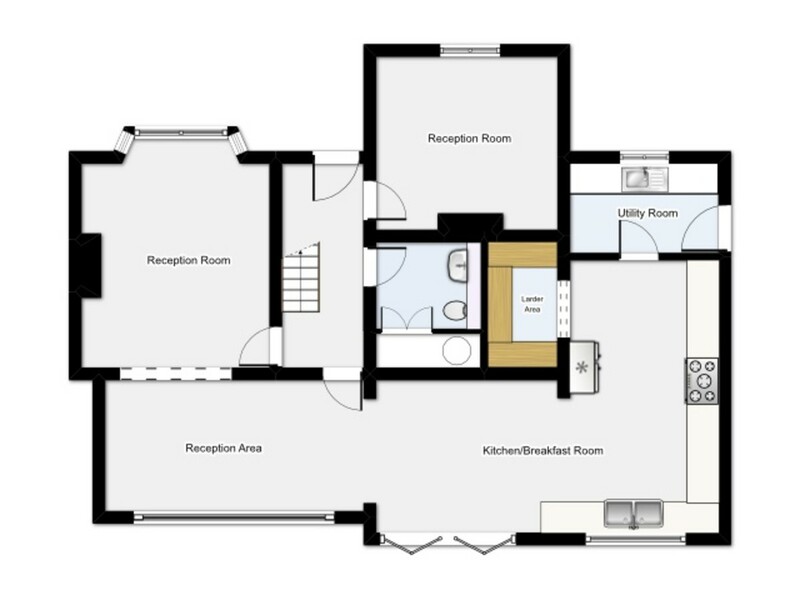 Kitchen: 7.04m x 5.19m (max.) Window enjoying views over the rear garden and countryside beyond, window to side. Fitted with comprehensive range of gunmetal grey base units with wood block worktop over inset with double ceramic sink unit with machined drainer to side. Integrated Bosch dishwasher, space for range style cooker with glass splashback and extractor over. Metro tiled splash backs. Space for upright American-style fridge freezer. Inset ceiling lights. Opening to larder area with matching range of base units with wooden worktop over. Extensive range of shelves and storage. Utility room: Wooden double glazed window to the front, stable door leading out to the side pathway. Fitted with gunmetal grey range of units with matching wood block worktop over inset with large single bowl ceramic sink unit. Plumbing for washing machine. Gas-fired boiler servicing hot water and central heating. Tiled floor, extractor, inset ceiling lights. First floor landing: Wooden double glazed sash window to the front. L-shaped with matching painted panelled doors to all rooms. 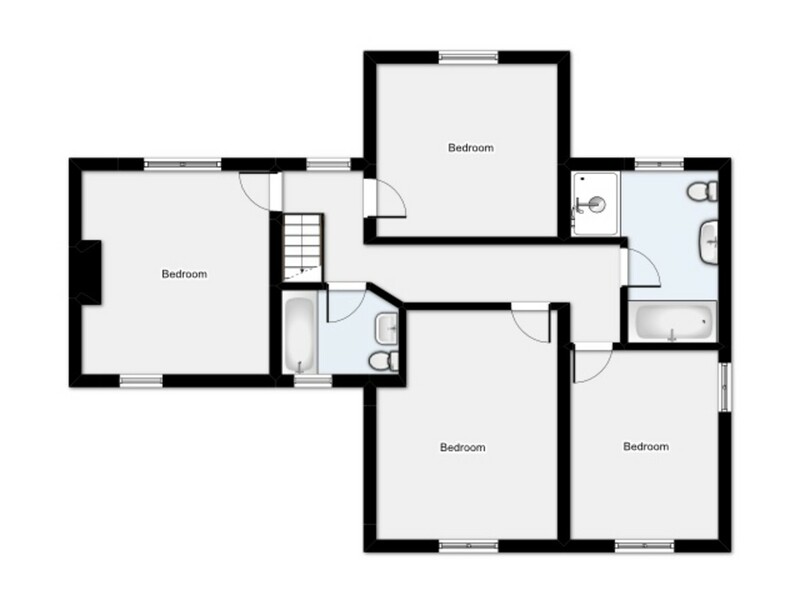 Bedroom one: 4.42m x 3.62m (max.) Wooden double glazed window enjoying views over the rear garden and countryside beyond. Picture rail. Bedroom two: 3.52m x 2.86m Double aspect room with wooden double glazed window to the rear and side enjoying far-reaching rural views. Picture rail. Family bath and shower room: Wooden double glazed window to the front. Fitted with white suite comprising WC with wooden seat, LaChapelle console basin, double ended bath with central tap set into Metro tiled surround. Metro tiled double shower cubicle with glass door. Part painted panelled walls, picture rail, ceramic tiled floor with underfloor heating, traditional style towel rail/radiator. Bedroom three: 3.96m x 3.64m Double aspect room with wooden double glazed window to the front and wooden double glazed sash window to the rear enjoying far-reaching rural views over the garden and countryside beyond. Picture rail. Bedroom four: 3.50m x 3.35m Wooden double glazed sash window to the front. Picture rail. Bath and shower room: Wooden double glazed sash window to the rear. Fitted with white suite comprising WC with high level cistern, wash hand basin set on to chrome stand, painted panelled bath set in tiled surround with telephone shower over, glass shower screen and shower curtain to side. Tiled walls, tiled floor with underfloor heating. Chrome towel rail. Outside: The property is approached from the road over extensive driveway providing parking and turning with beech hedged front boundary and brick wall to the left. Gates to the left-hand side give access to the large paved terrace to the rear of the property which incorporates a barbecue area. A flight of paved steps lead up to the excellent sized garden, which is mainly laid to lawn with planted beds and borders, post and rail fence to the left and rear boundaries allows views over the adjoining countryside. A pathway leads to large summerhouse with log store to the side beyond which is an enclosed part paved part decked terrace with swimming pool. Large timber garden store. The remainder of garden is laid to lawn with raised vegetable beds and children's play area to the left hand side. 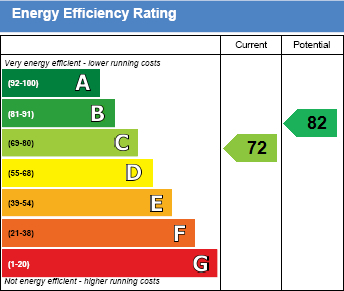 SERVICES: Mains electricity, water and drainage are connected. Gas Fired Central Heating. Directions: From the A21 travelling south continue through Northiam taking the left turn opposite the primary school, B2088 signposted Beckley and Rye. Continue to the end of Main St, at the roundabout turn right onto the A268. Continue for approximately 5 miles, through Peasmarsh and on to Rye Foreign, Orchard Edge will be found on the right hand side of the road. From the M20- leave the motorway at Junction 10 following the signs for Hastings and Rye (A2070). Continue on this road to the roundabout at Brenzett, proceed onto the A259 to Brookland and Rye. Follow this road until reaching Skinners roundabout on the outskirts of Rye, turn right towards Peasmarsh, A268. Continue for approximately 2.5miles through Playden, passing Coldharbour Lane and the 'Hare and Hounds' PH on the right. Orchard Edge will be found after a short distance on the left hand side. Transport Links: For the commuter, Rye Station provides services via Hastings to London Charing Cross, whilst Ashford International provides a fast service to St. Pancras and Europe. The Motorway network (M20) can be easily accessed at Junction 10 via the A2070 (Marsh Road). VIEWING: All viewings by appointment through the Country Property Group. A member of the team will conduct all viewings, whether or not the vendors are in residence. Close To The Historic Town of Rye. Here at Country Property we pride ourselves at excelling in marketing fine Country Houses, Country Estates, Equestrian Properties, Converted Barns, Oast Houses, Mills, Granaries etc, Period Country Cottages and Individual Character New Houses in Villages and Rural Location particularly in Kent and East Sussex.